Signed and dated archival art print featuring artwork from Pamela Zagarenski's The Whisper. Measures 16" x 20"
Signed and dated archival art print featuring artwork from Pamela Zagarenski's Zola's Elephant. 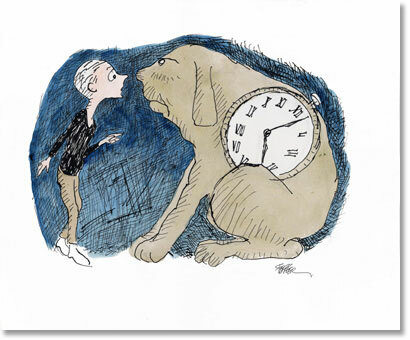 Measures 16" x 20"
Limited edition Jules Feiffer print of Milo and Tock from The Phantom Tollbooth. Hand-signed by Jules Feiffer and numbered, limited edition of 350. Print measures 12" x 15". Pair it with an autographed copy of the book for the perfect gift! For holding high at your next protest march, gifting to a feminist friend, or hanging on your classroom or dorm room wall, these progressive posters based on the New York Times bestseller include 20 portraits--each with a powerful female on the front and her inspiring quote on the back. Rad Women Worldwide shared fresh, engaging, and amazing tales of perseverance and radical success through riveting biographies and cut-paper portraits. Now here is the art ready for hanging or framing. Measuring 7x11 inches--perfect for an 8x10-inch frame--these colorful portraits feature widely acclaimed (and also less known) heroines alike. "In a place where colors ran wild, there lived a girl who was wilder still. Her name was Swatch, and she was a colortamer." This 13" x 19" autographed print is a vibrant color reproduction from children's book, Swatch, The Girl Who Loved Color by Julia Denos, published by Balzer + Bray (HarperCollins) 2016. It's printed directly from the final art file sent out to the publisher, on a textured watercolor paper that captures watercolor and ink strokes detail for detail. The image is true-to-book-scale, with white space for matting and framing. 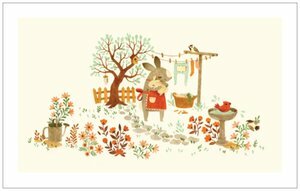 Pair this print with the book for the perfect gift for an artist, picture book-lover or child-at-heart! "She could run with the wildest shades, train them to dance, and do magic." In a place where color ran wild, there lived a girl who was wilder still. Her name was Swatch and color was her passion. This 8.5" x 11" autographed print is a vibrant color reproduction from children's book, Swatch, The Girl Who Loved Color by Julia Denos, published by Balzer + Bray (HarperCollins) 2016. It's printed directly from the final art file sent out to the publisher, on a textured watercolor paper that captures watercolor and ink strokes detail for detail. The image is true-to-book-scale, with white space for matting and framing. 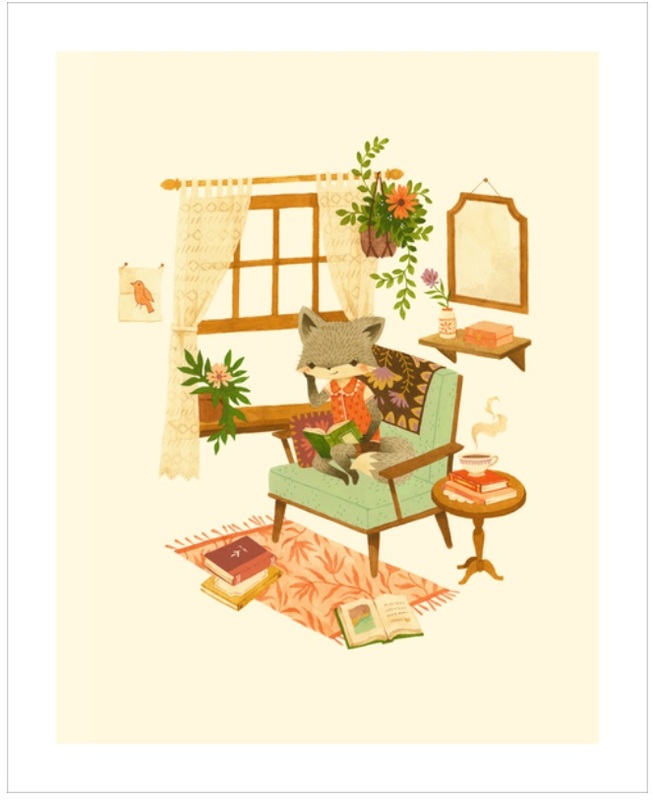 Pair this print with the book for the perfect gift for an artist, picture book-lover or child-at-heart! 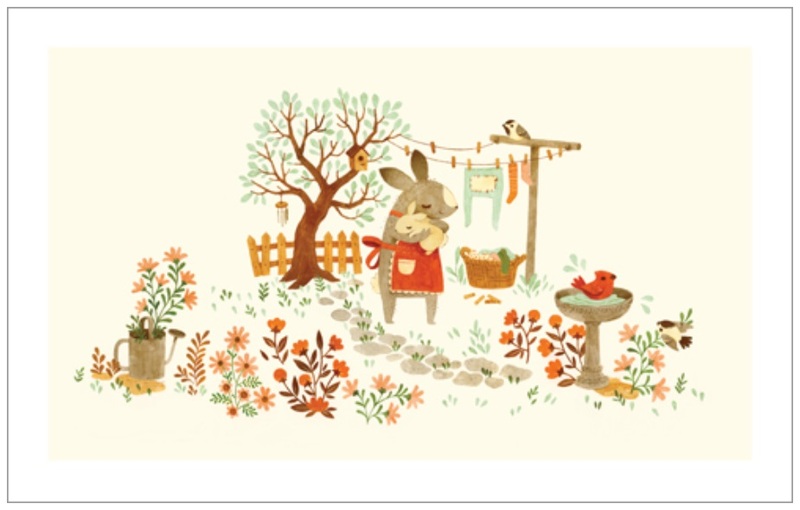 Giclee print featuring artwork by Teagan White from Counting with Barefoot Critters. 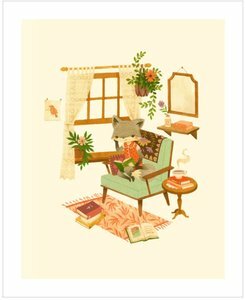 Print measures 16" x 13"
Giclee print featuring artwork by Teagan White from Bunny Roo, I Love You. Print measures 12" x 19"
Your Story Matters - art print illustrated by Lisa Congdon. All of Lisa's archival art prints are embossed with our studio insignia for authenticity. Fully acid-free and archival, all works are printed in her Portland studio on fade resistant smooth paper (47 lb. basis weight and 9.7 mil thickness).